Datwyler Sealing Solutions's Middletown, DE, facility will produce vial and syringe components when it opens next year. Datwyler Sealing Solutions has broken ground on a new facility for producing specialty coated rubber components for drug-delivery devices. 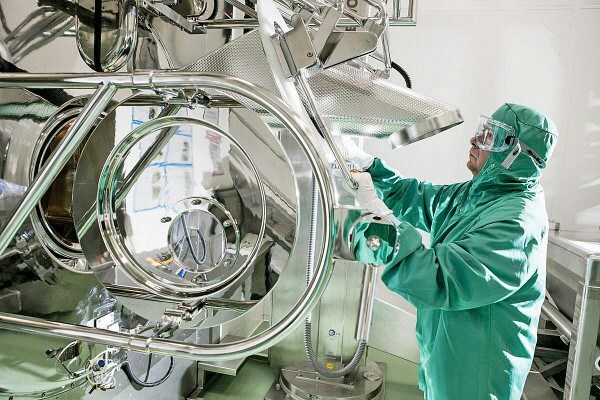 The Middletown, DE, facility will produce the company's Omniflex family of vial and syringe components following to its own rigorous FirstLine standards, which employ ultra-modern cleanroom technology, automated production cells, fully automated camera inspection, and a specialty washing process. Datwyler will highlight the new facility and its components for injectable packaging, drug delivery systems, and diagnostic applications at the upcoming MD&M West 2017 expo February 7-9 in Anaheim, CA. These include serum and lyophilization stoppers and plungers in custom designs. The Middletown plant will employ lean-manufacturing, zero-defect, and Quality by Design philosophies, explained David Clark, vice president of operations, Americas. Many of its systems will be very similar to those in place at Datwyler's Belgium location, which currently produces the Omniflex coated products line. These components are 100% spray coated with a specialty fluoropolymerthat eases performance and eliminates the need for siliconization, he explains. Datwyler will also introduce several upgrades to its Omniflex production with the new plant. "In Belgium, we don't always use camera inspection for all products," Clark said. "But in the United States, we'll offer 100% inspection, normally right before the packaging system." Such inspection can capture a higher number of defects, yielding higher quality levels. The new plant will also offer the ability to steam sterilize components for ready-to-use products, he added. Automation will play a central role in production. "Automated ingredient weighing will be used during the mixing process, and as the bricks exit the mixing lines, they will be picked automatically and placed into compression lines," Clark said. "Compression presses are not typically automated, but some will be in our new plant. This allows us to produce more products, and quality will be better." Automation use will also depend upon customer volumes, he added. "Our new plant will be designed to offer customers options," Clark said. "We've been visiting a number of our customers to ask them what they need, and we've been incorporating those needs into our plans. They've been asking for flexibility in order quantities, for instance, and we'll offer that with our new plant." Middletown is close to Datwyler's customers throughout the mid-Atlantic region, as well as to its plant in Pensauken, NJ, which produces pharma-grade components. Instead of expanding this plant, Datwyler elected to invest $102 million in building a new one to institute its FirstLine approach. Datwyler describes this approach as maintaining a fully integrated good manufacturing practice environment that exceeds the most stringent quality standards of the European and U.S. regulatory authorities. FirstLine facilities are certified to ISO 15378. Clark added that the FirstLine approach "is equipped to minimize the risk of human interaction to prevent any particulate and biological contamination. Datwyler's FirstLine manufacturing supports the pharmaceutical industry in the pursuit of safety through reduced endotoxin, bioburden levels, and particulate levels--both visible and sub-visible." Production in Middletown is expected to begin in the first half of 2018, and it will ramp up to first provide local supply for U.S.-based customers and then serve other markets, Clark said. Datwyler is also investing in a new facility in India, which will then allow the company to offer locally produced FirstLine components in Europe, the United States, and Asia. With Middletown, Datwyler will produce one billion components per year in the United States, a company spokesperson told Qmed.